So you’ve set up an online ordering system for your restaurant. Good for you. Pat yourself on the back. Now what? Getting that online ordering system all set up is a vitally important step to ensure that your restaurant becomes a local institution and not a statistic. Of equal importance is letting your customers know that you are taking orders online. After all, if nobody knows about your new online ordering capabilities, nobody is going to use it. The tricky part is finding engaging and unique ways to inform and encourage your regular customers to order up their favorite dishes online. Let’s make the tricky part the easy part. Discover 10 of the best methods for letting your customers know that you now take orders online. I know what you are thinking: a press release in a newspaper? Believe it or not though, numerous people with disposable income still read the local paper for information about where to eat and what is available. Most local papers also publish online as well, which is where the other part of their reader base gets their information. Start out by putting a press release in the paper stating that your menu is available online, and that you are taking orders online. Other news outlets might pick up your press release, so you never know who’s paying attention. Provide special and exclusive promotional deals via your online order system. For example, for every three orders a customer completes online, that customer receives a significant discount on the fourth order through your online system. Don’t neglect the power of personal communication. Have your staff let every customer know that they can order online and carry out. The system works for when they don’t have time for a sit down meal at your location, or if customers just want to save time before they come in for their regular order next week. This is also a good time to push those repeat order promotions as well. It sounds very simple, but if you put up a banner outside the restaurant, in the window, or even in the main dining area, customers are going to see it. Also, depending on your location, commuters driving by or potential customers running errands nearby will see that banner and file it away in their memory for future reference. If a banner doesn’t suit your overall aesthetic as a restaurant, there is nothing wrong with opting for a more subtle display. Consider a trifold standing card on each table that informs customers about your online ordering program. This only reinforces reminders from your staff about online orders, and creates an additional point of exposure that will hopefully stick in your customers’ minds. Sending flyers out to nearby businesses, offices, schools and other locations that could benefit from online ordering is a time-honored and extremely effective technique for bringing in repeat business. Make sure you put your online ordering information big and bold on that flyer to maximize its impact. Your business card has plenty of valuable real estate that you can leverage to inform and encourage online orders. Update your business cards with the appropriate information as soon as you start taking orders online. 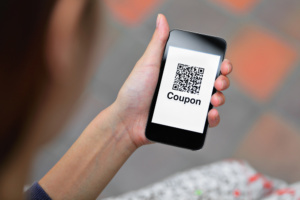 Use online-only coupons to encourage customers to order online. You can even make up a referral system for regular customers who refer friends and family to your online order system. This is probably one of the strongest ways you can drive online ordering at your location via customer engagement. It’s free! Post an ad stating that you are now taking orders online, and include a link in the ad. Place the ad in your town/city segment of the site, too. You’d be surprised how many people check craigslist for new places to eat. Just like with flyers, you can target nearby corporate office buildings, medical complexes, schools, universities and any other facility that would have a regular need for ordering takeout. Run calls out of your back office and be patient. You’d be surprised how often a phone call works in terms of lead generation and inviting new customers to your location and to order online. Just having an online ordering system will never be enough. You have to market it just like any other aspect of your restaurant. Be consistent, use multiple channels, and keep those reminders and invitations to order online coming. With these 10 techniques, you will see results in no time. Contact us today to see how we can help with your marketing efforts.